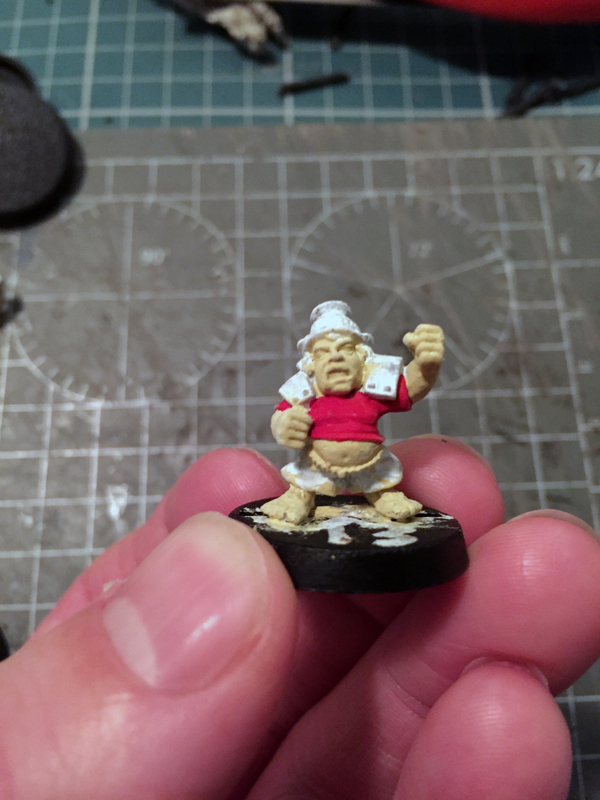 At the start of 2017 I signed up to my local Blood Bowl league. 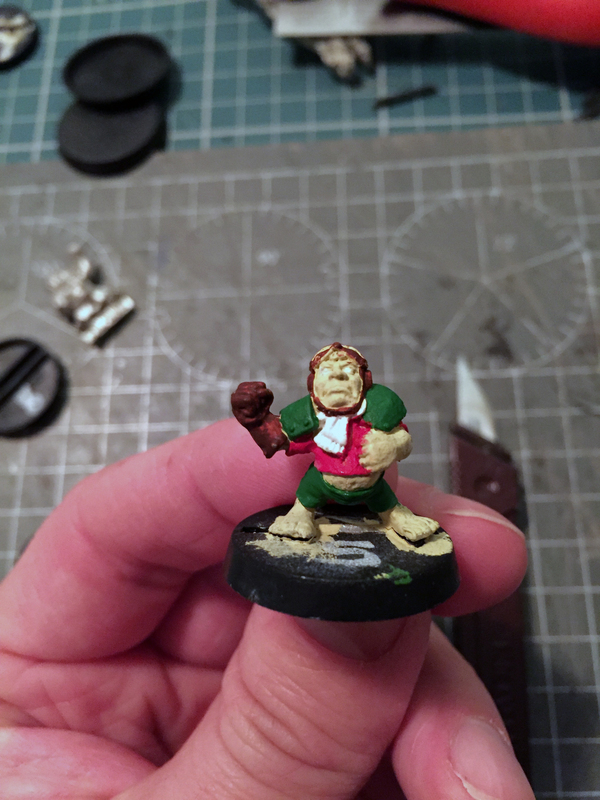 Being a huge fan of Halflings back in 3rd-4th edition I decided to resurrect my old team The Jammy Dodgers. After a rummage around in my parents loft I managed to find the old models, all poorly half-painted. 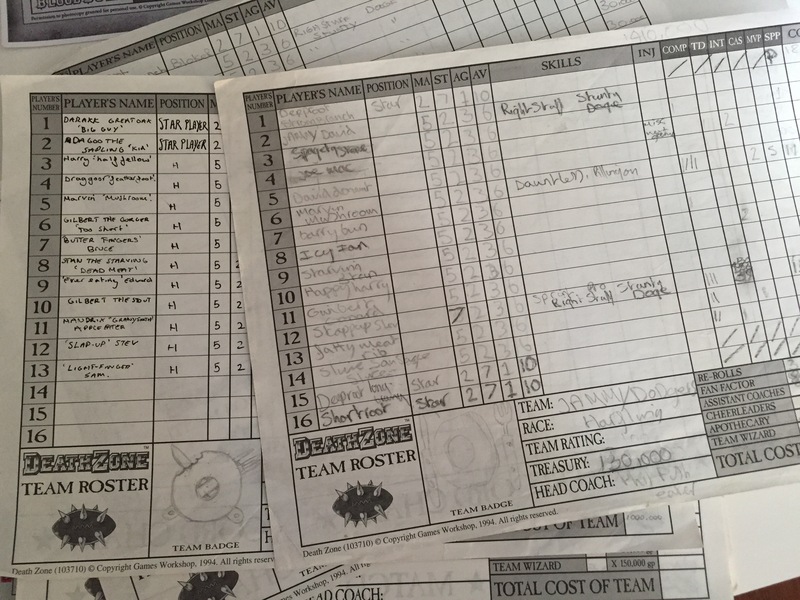 I even found the original team sheets though how I did so well I never know, unless half the games were played against myself, which seems more than likely. 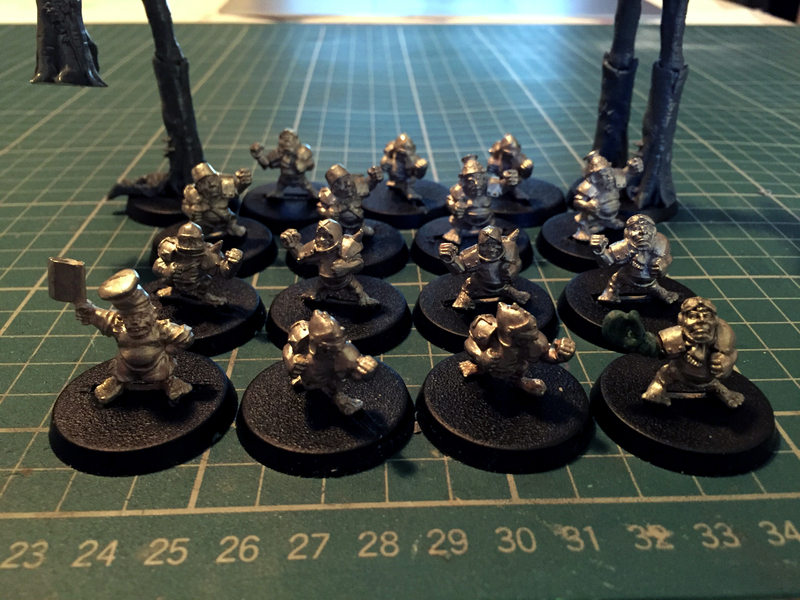 With a few Halfling eBay purchases I could bring the squad up to the maximum team size of 16. 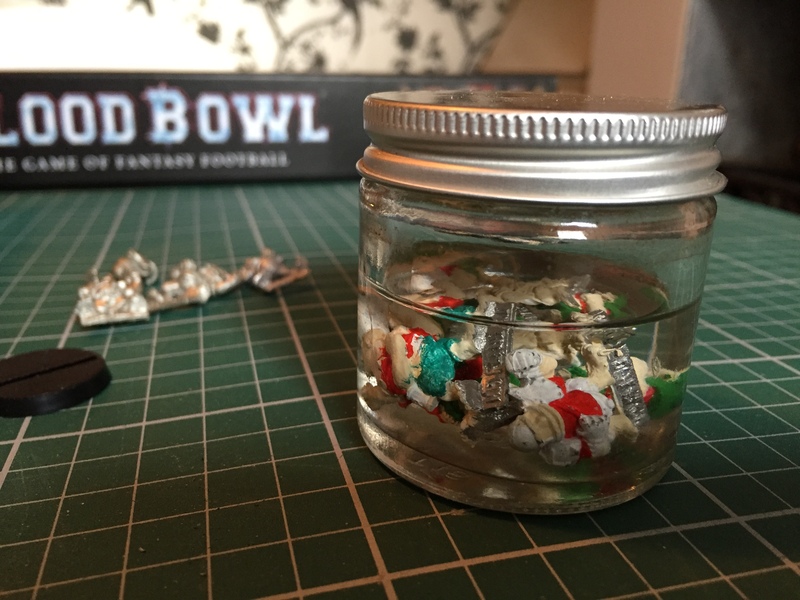 I’d also bought some 32mm bases to rebase all the models to match the new BB 2016 pitch. 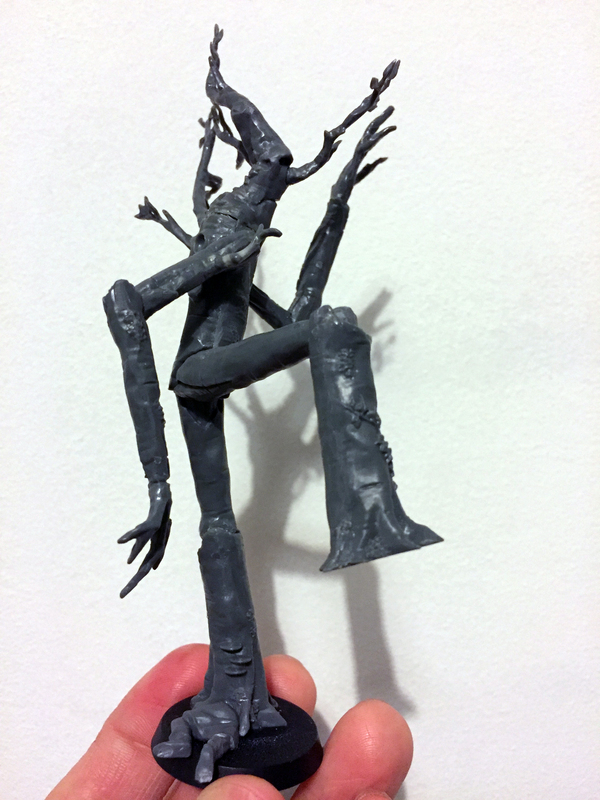 I wasn’t too keen on the old metal Treeman either and had decided to use the LotR Ent models to bring the Treeman to life in glorious plastic. The first thing to do was remove the terrible paint job. So a quick dip in some Isopropyl Alcohol saw them stripped clean. I then had to rebase all the models, this was probably the most time consuming part of building the team. 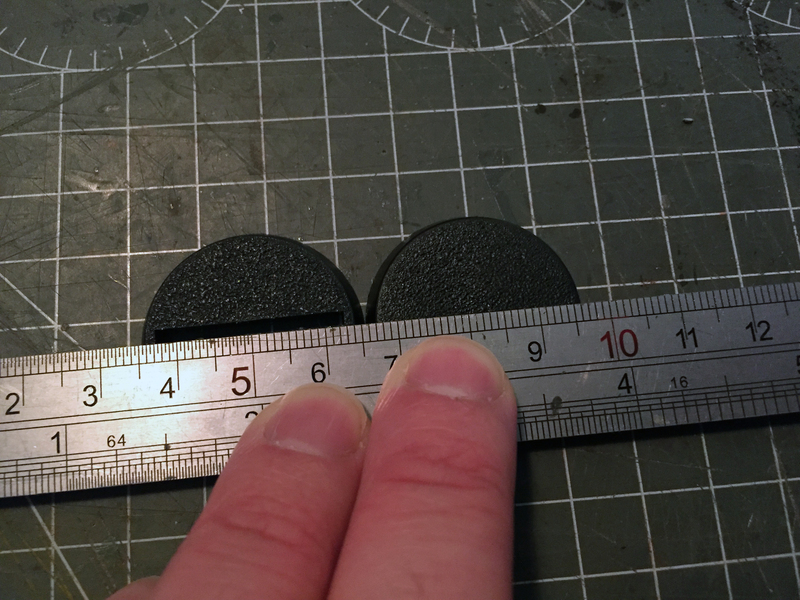 As you can’t buy slotted 32mm bases I had to buy the standard ones and using a knife cut the slots out. 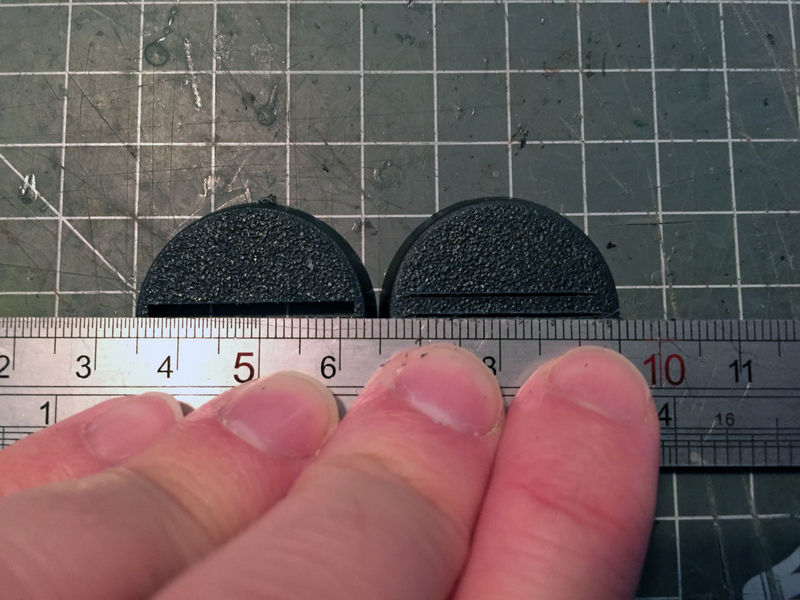 I used one of the slotted bases (on the left) from the boxed game as a guide. 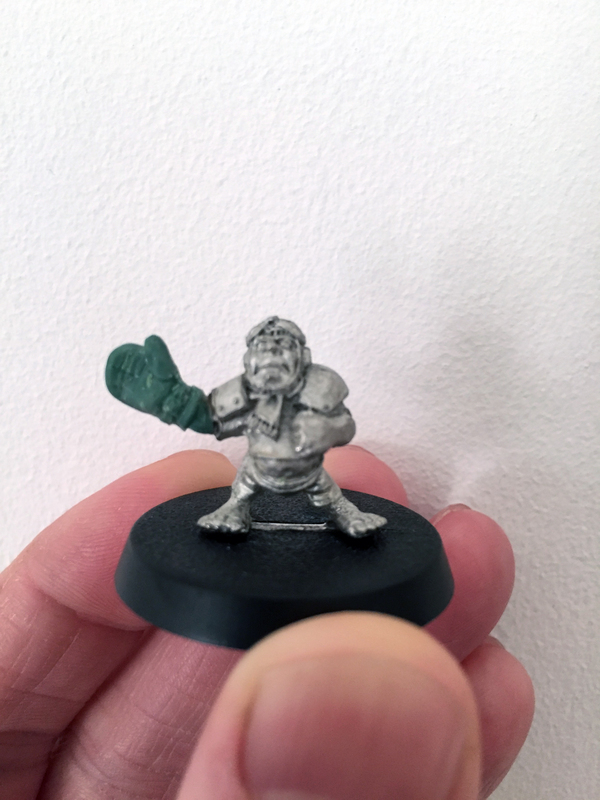 One of my new eBay Halflings came missing an arm, so I decided this was a great excuse to hark back to the old Human Catcher model and replicate it’s large glove, though for the Halflings this is most likely an oven mitt. Having dug out an old catcher I managed to cast up a replica glove using Blue Stuff to create the press mould, and Green Stuff to cast the glove. After a little bit of feedback I decided to trim the glove just after the first strap to reduce the arm length down to something more realistic. 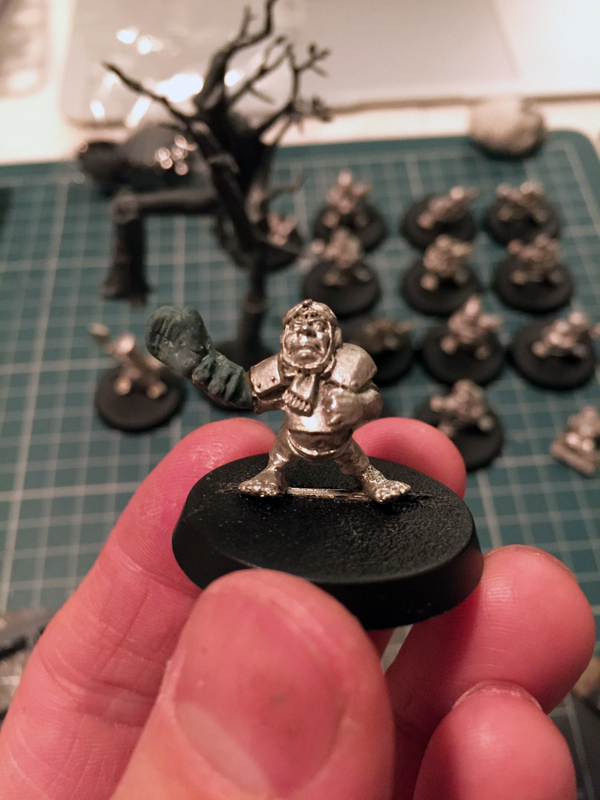 Next up was to replace the metal Treeman, I was never that keen on their look, they’re fiddly to pin and I wanted something suitably huge to make up for the small Halflings…also causing a little fear in my opponent. 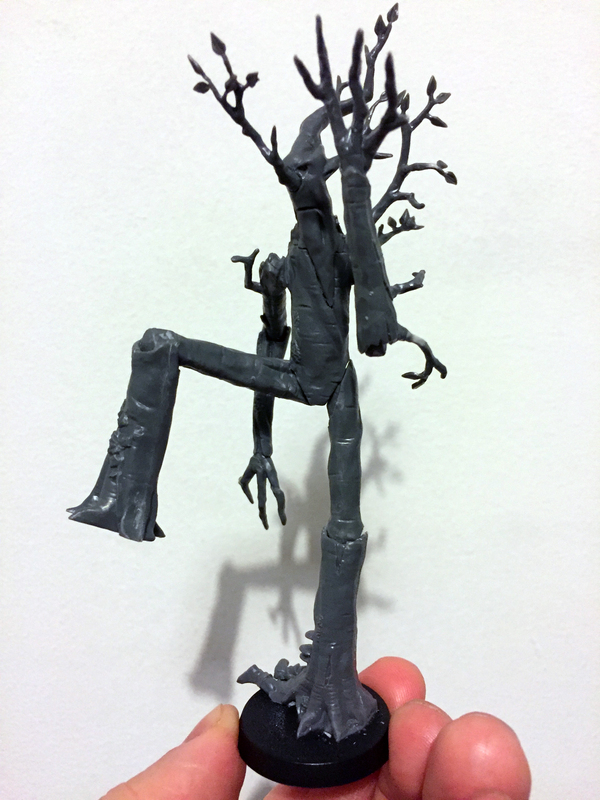 The LotR Ent models by GW are the best replacement, the newer Age of Sigmar style Treeman don’t fit in style or scale. I’ve built two, but I’ll just focus on one for now as the other is built but still not finished. 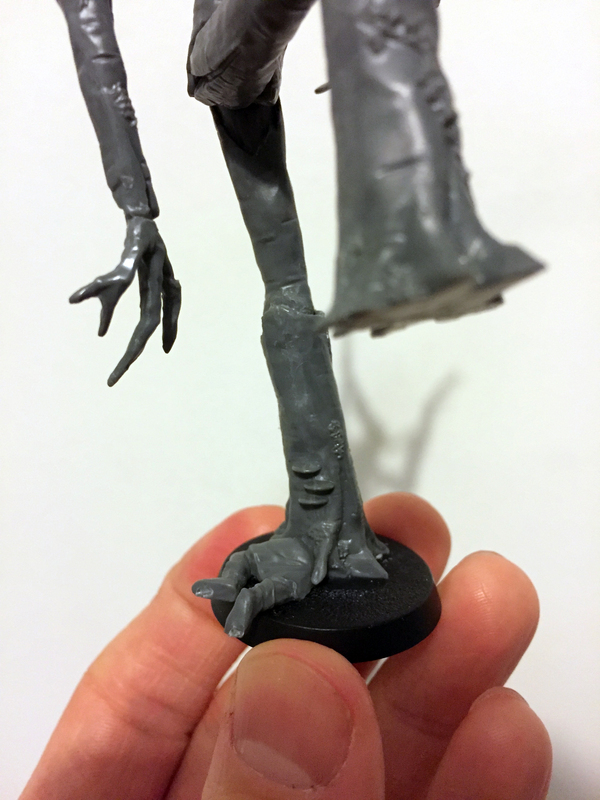 I went for a stomping style Treeman, this helps the Treeman fit on the base, but also to create a dynamic pose when placed correctly with someone underneath the foot. 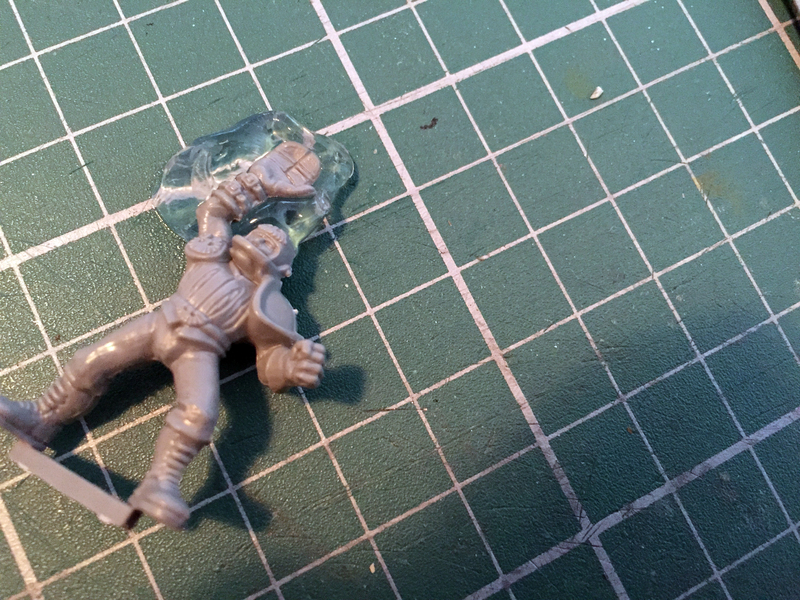 On the sprue are a few dead uruk hai, I used one and cut him in half, using him on the base to represent a dead goblin. The last thing to do to get them game ready is to name the players*. I looked back at my original 90’s team for inspiration, I wanted some of the team players to be decedents of the original team but found the names a little cheesy, though there’s nothing wrong with a good pun. Instead I went for more classic sounding Halfling names. As the games go on they can earn nicknames based on how they perform. Going for a lower than normal TV should allow me to induce the Halfling Master Chef for most games too. *In an ideal world I’ll also have painted them up by now, but that will be for another time. Thanks, really glad you like it. It brings back some fond memories for me which is why I just had to bring the old team back to life. 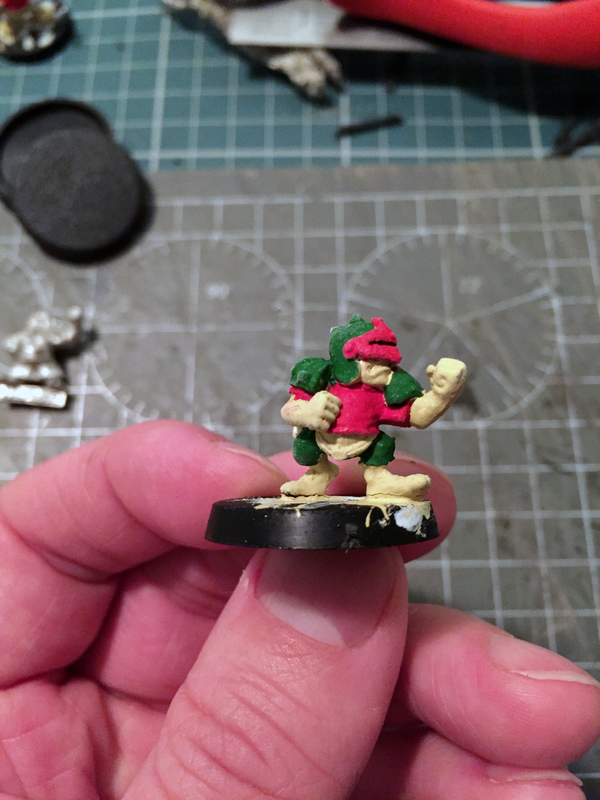 There might be another iteration of the team once new Halfling models come out too. 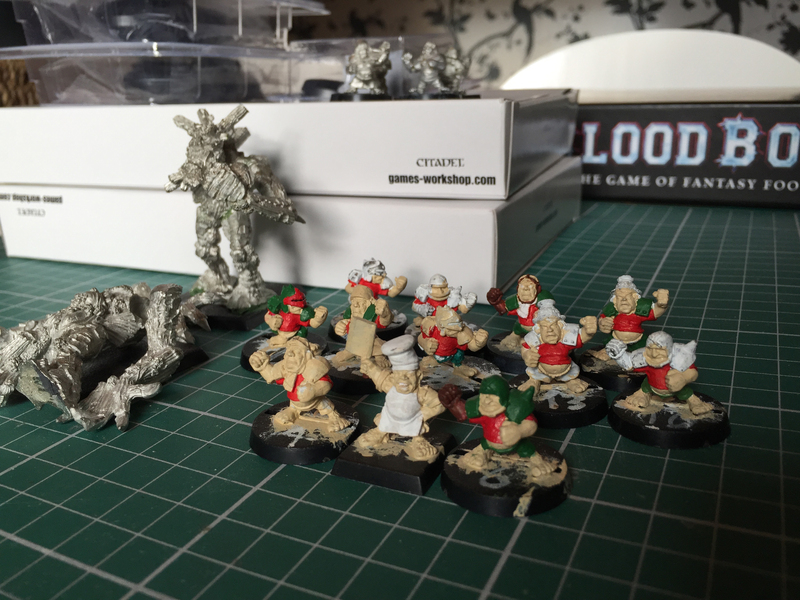 Hopefully not for a while as I want to make the most of the old models and get them painted up first. Subscribe now and be the first to know about new posts, videos and updates.